100% Egyptian cotton shell cover treated with nature silver. Premium White Goose Down, IDFL certified clean and hygienic. Down proof cotton fiber shell. Euro-Chic design. 10″ baffle box, double stitching, and sateen piping. 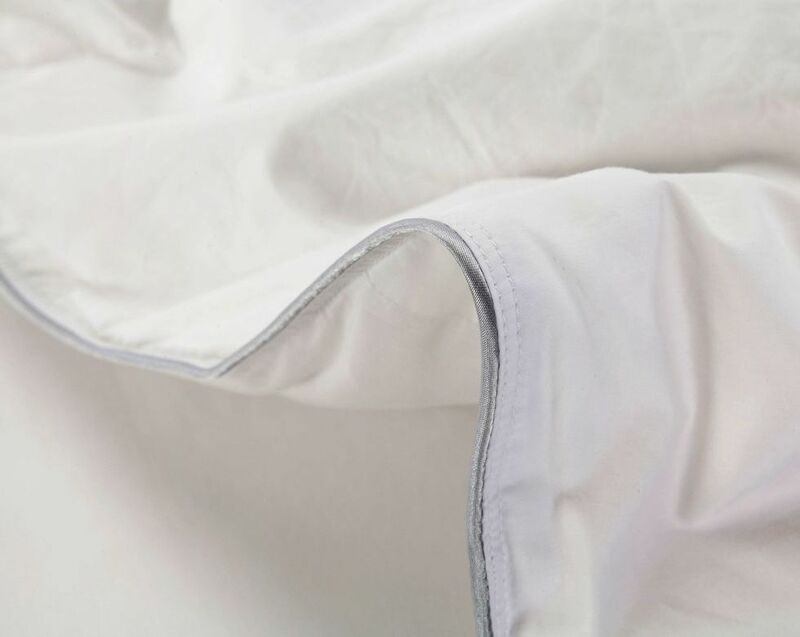 Silver Antimicrobial line of linens was developed by Nature Relax, using 100% Extra Long Stable Egyptian cotton. 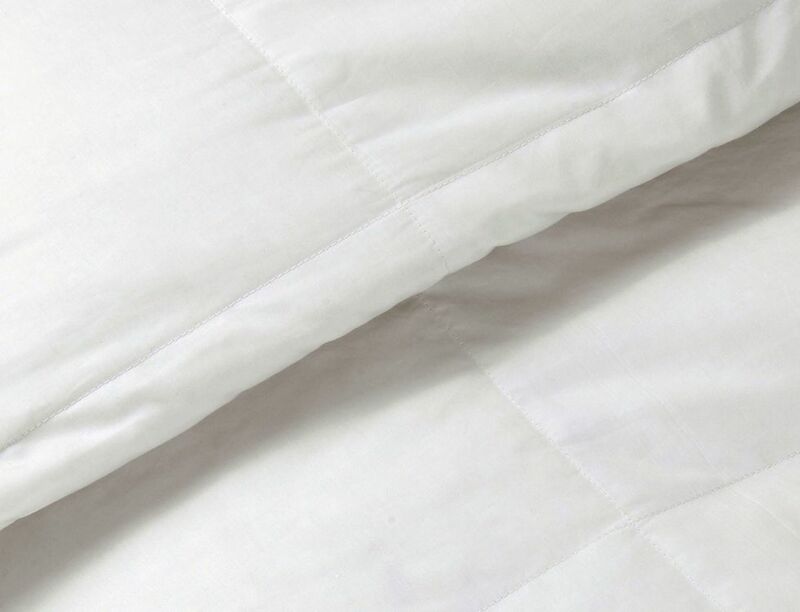 Each comforter is treated with silver which is attached to textile fibers, creating long-term protection against the development of odor-causing bacteria, and making it resistant to mites, mold and spores and makes it hypoallergenic. Filled with premium White Goose Down and IDFL certified. This Luxury line of Silver Antimicrobial Comforters using 800 thread count premium Egyptian cotton shell for extreme softness and 650 fill power White Goose Down for added loft and luxury. Staying on trend, the all-season down and down alternative comforters featuring Euro-Chic double stitch, 10" baffle box quilted design to keep the fill from shifting and to eliminates cold spots. Nov 29, 2013 by Mary H.
I LOVE my Premium Silver Antimicrobial White Goose Down Comforter - Extra Warm. I have bad circulation and my feet are usually very cold and I wear thick wool socks to bed to keep warm. With this Extra Warm Comforter I was able to sleep without socks on my feet and it felt really good. It is those little things in life that makes a huge difference. I particularly love the it is antimicrobial too because I have very sensitive skis and I like this peace of mind that this comforter is keeping me warm and HEALTHY TOO. I highly recommend it to anyone who is like to keep warm and have sensitive skin like me. Thank you Nature Relax for quick delivery and for a great comforter. Fluffing – Down comforters are usually packed tightly during shipping. When your down comforter arrives, remove the package, fluff it gently, and allow several hours for the down comforter to recover its full loft. 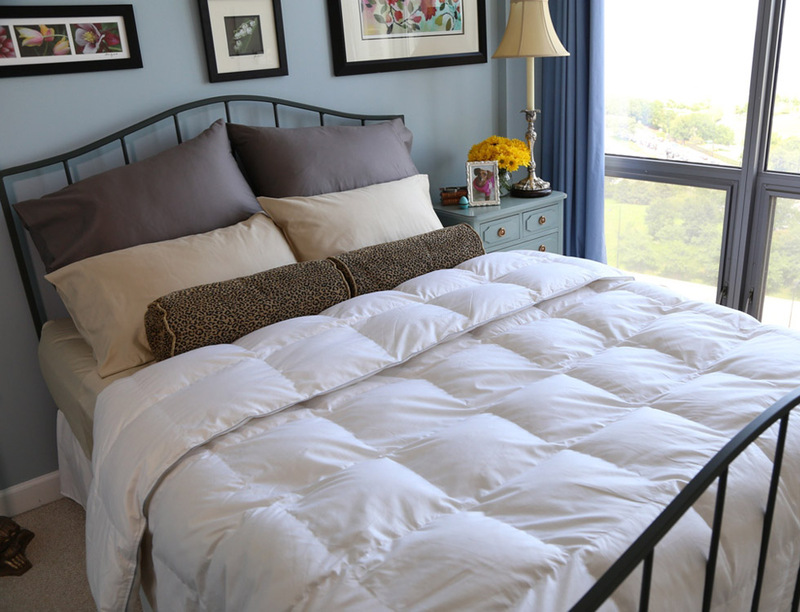 When you make your bed every morning, you can shake, flip, hang and snap your down comforter to fluff it. Washing – You can dry clean or wash your down comforters. Steam cleaning is even more preferred. When washing down comforters yourself, use the front-loading washing machine that has no agitators. Wash your down comforters in cold water and a small amount of detergent. The less you wash your down comforters, the longer they can last. 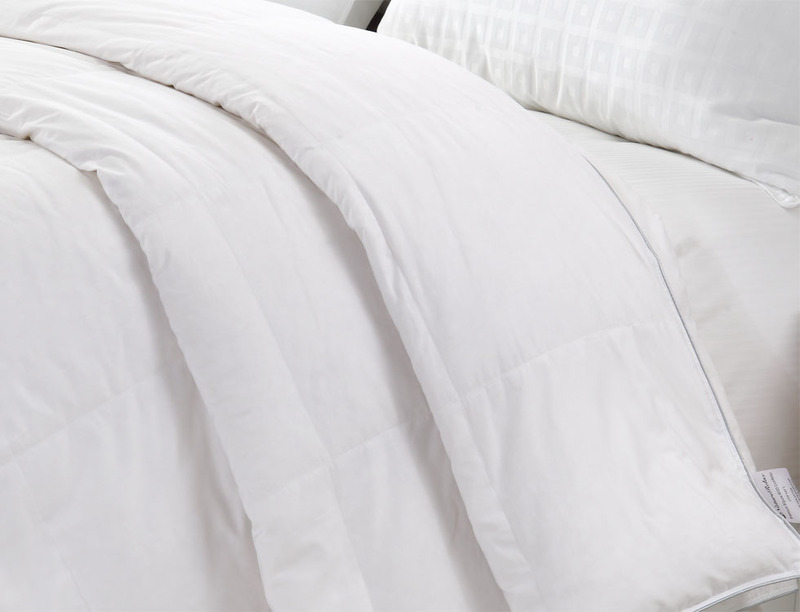 Use a duvet cover to keep your down comforters cleaner to avoid frequent washes. Suggested wash frequency – Once a year for machine washing. Once every 3-5 years for professional dry clean. Dry – Down comforters must be dried thoroughly. When using the dryer at home, you must dry the down comforter with gentle heat. To expose damp areas, remove and adjust the down comforter several times during the drying cycle. It might take hours for the down comforter to completely dry. Hang the down comforter out to air is also recommended. Make sure all sections are dry before replacing it on your bed. Storage – Store the down comforters in breathable place. Don’t use plastic bags or boxes to avoid trapping moisture and cause mildews and scent. All Nature Relax packages are Non-woven PVC bags that are breathable and safe to use.